GPL Eden Heights has given a new face to the way 2 bedroom apartments, 3 bedroom apartments and 4 bedroom apartments used to be in Gurgaon. 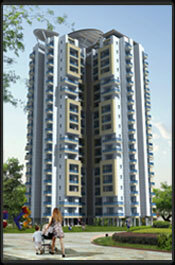 These apartments are the best and one of the finest apartments in sector 77, 70 Gurgaon. Any search for 2 bedroom apartments in Gurgaon, 3 bedroom apartments in Gurgaon or 4 bedroom apartments in Gurgaon, ends with the name of GPL Eden Heights. GPL has made sure that any housing complex they build it should have apartments with ample parking space and also apartments with ample space in it. if you look out for a dream apartment in Gurgaon or Delhi-NCR then its GPL infrastructure that helps you to realize your dream and turn it into reality.